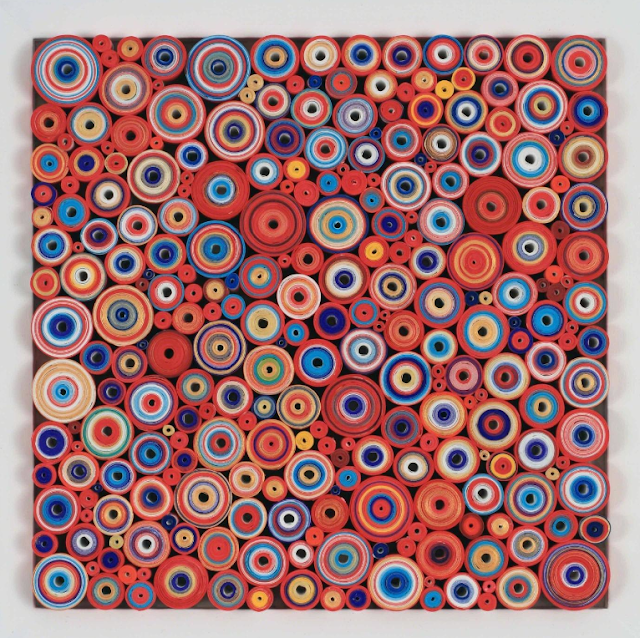 I'm fascinated by the hand-dyed, rolled paper works of Hadieh Shafie (1969-), an Iranian artist who studied at Pratt. Reminiscent of ancient scrolls, and inspired by Abstract Expressionism, the works resound on multiple levels. When a friend sent me the above image of myself, which was enhanced using the iPhone app Percolator, I was delighted by it's affinity to the mesmerizing sculptures. 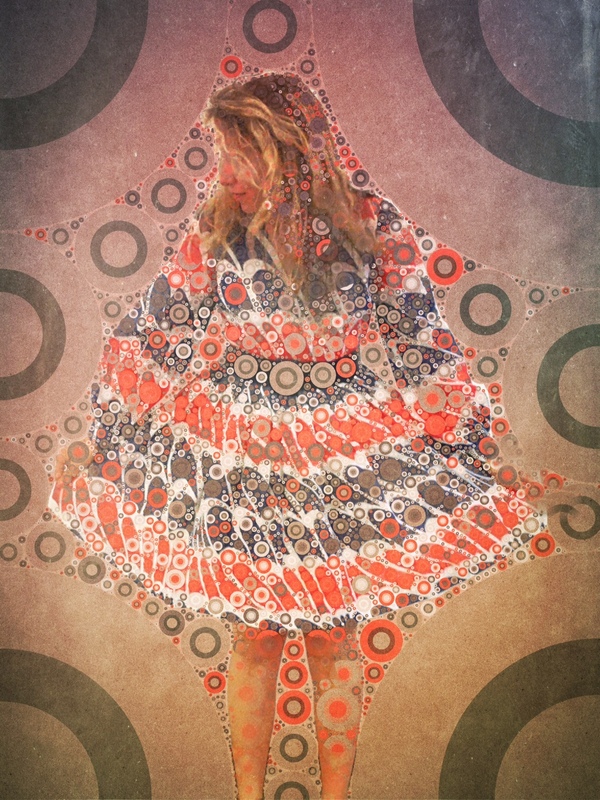 Ariel Adkins is a designer and art lover who creates one-of-a-kind garments inspired by art. Please direct all inquires to artfullyawear at gmail dot com. Click here for more info. ART TO WEAR: Unbuttoning the Met. Copyright Ariel Maile Adkins, Artfully Awear, 2011. Header & Social Media Icon Designs by Ivy Fuld. Simple theme. Powered by Blogger.